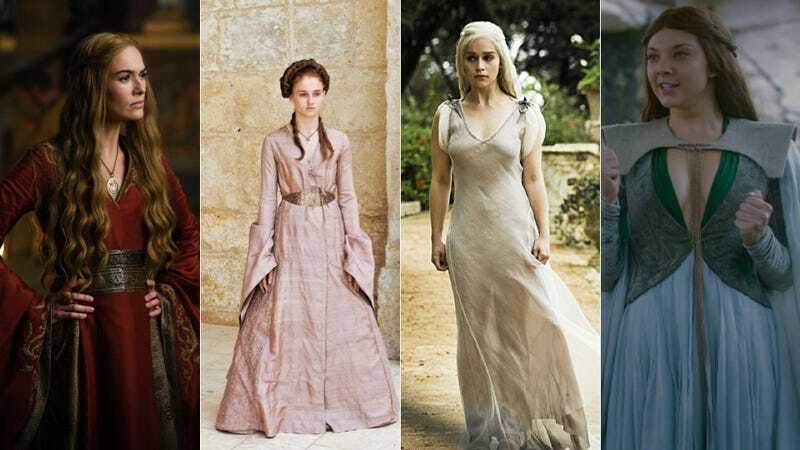 So You Want to Dress Like You're in Game of Thrones. So you want to dress like you're in Game of Thrones. Here's what you do. Ditch your jeans and T-shirts. Look for gauzy, goddess-like gowns, heavy capes, and anything with claws or fur. When you get dressed, you either win or die. Let's just say Joffrey's called you into the Throne Room (aka you have to meet with your boss for a yearly review). Why not choose a dramatic blue wrap dress inspired by Sansa Stark? Sansa likes little roses, even when she just throws something on to go pick up a UPS package. A velvet cloak is perfect for sweeping through the alleys on your way to secret meetings in Kings Landing, although not recommended if you have to travel through Flea Bottom. To close your cloak: An official Hand of The King pin. Headed beyond The Wall? Wear a faux-fur hood Ygritte would approve of. Pledge your allegiance to Daenerys Stormborn by wrapping a wee dragon around your ear. 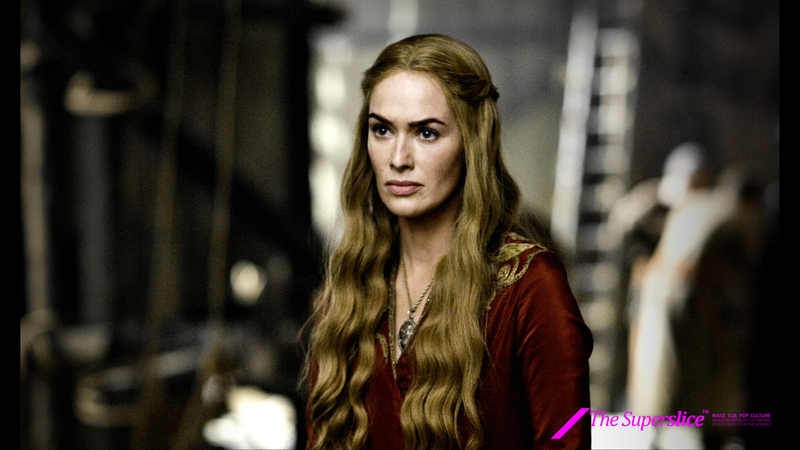 Cersei Lannister looks devastating in deep red; as will you. Don't forget your wine goblet. Some high-fashion Cersei options: Jean-Paul Gaultier; Valentino; Valentino. Gareth Pugh's Spring 2013 collection featured quite a few things citizens of Westeros might like. Winter is coming. Get yourself a fur-trimmed cape. Actually, you need a wolf-fur collar to wear with everything, from T-shirts to pajamas. Here's a gray gown just like the one Daenerys Targaryen wore to her wedding. Throbbing bloody horse heart not included. Sure, it's hot as hell, but there are lots of good parties happening in downtown Qarth. Be prepared. You're definitely going to need a crown. Baratheon-inspired, perhaps? Golden cuffs are a must. Obviously any Mother of Dragons is lost without her claw necklace. Don't forget to invest in your very own iron throne. Finally: Perfect for intimidating enemies who sit in your seat during happy hour at your fave bar: A Dire Wolf mask/headdress.